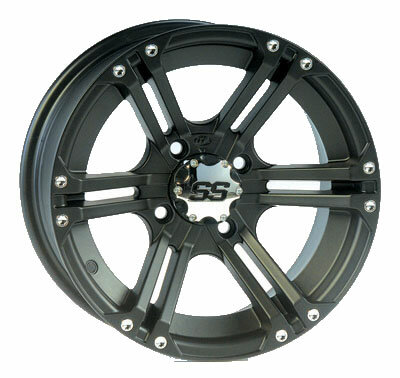 - Heavy duty 12 inch Atv wheel rated at 700 pounds. 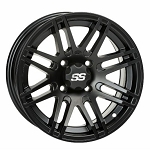 I totally love them, my wheeler now looks badass and rides even better!!! APlus, would definitely recommend this product and I would purchase through pure off-road without hesitation!! The quality is excellent and the look was exactly what I was going for. Rims look awesome and make my older ArcticCat machine look so much better ?? 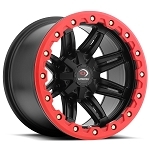 Ordered a set of these with tires for a 2014 Sportsman 570. They were mounted and shipped very fast. There was a small delay because my tire size was not in stock. Pureoffroad called me with options the next morning. A few days later, boom, wheels and tires. Great company, great product, great prices. Just received my rims and tires. They look AWESOME!! The customer service was wonderful and very fast shipping. Haven't tried them out yet but I am sure they will do great. I purchased these rims for my husbands Teryx. He LOVES them! We got the black rims, with his green Teryx it looks "sick" as he would say. Handles well and are super light (light enough for me to carry myself, his old wheels were really heavy). I ordered a set of these wheels and they are great. They were shipped to me very quickly and I received everything in the packages. I will order from this site again. amazing wheels!!! i order on a friday and they were at my house monday! 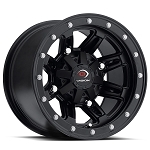 Q: i want to get some itp ss212 rims for a 2008 brute force 650 solid rear axle ? A: Give us a call at 877-852-2314 and we will try to help you find some wheels! A: Unfortunately no, we only ship within North America. Q: Do they come with new valve stems? Q: Will this fit 2017 polaris 450 h.o.? A: Yes these fit your machine. Just select Polaris Sportsman from the drop down menu, or you can call us and order over the phone. Q: What is the size of the wheel?